Participation levels low, prices may consolidate in days ahead. 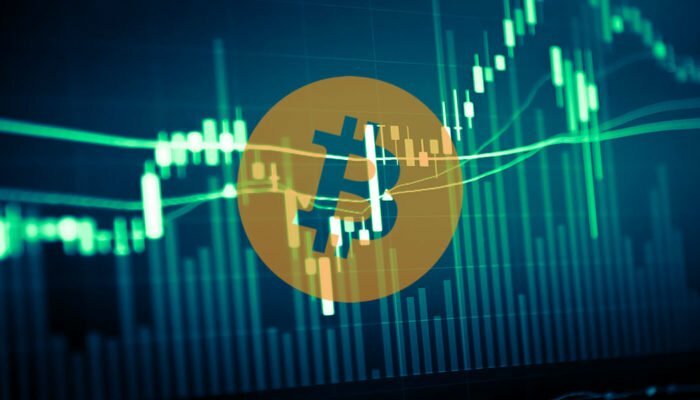 Despite bullish fundamentals, BTC continues to cede ground against the USD. At spot rates, prices are steady and trending within our support zone. Unless otherwise there are sharp gains above $3,800, sellers may snap back to trend. Wyoming may be the center of crypto attention thanks to their openness and embrace of new technology, but the real deal is the endorsement from the United Nations. In their latest World Economic and Social Survey 2018 Report, a multinational organization made up of 193-member concluded that Bitcoin and cryptocurrencies, in general, were a new frontier in the finance. Of course, this is no brainer. For a technology that is barely ten years, the underlying technology is not only disruptive but brings about efficiency, transparency and above all a new level of ownership. It is because of these inherent properties that the organization firmly believes that businesses can build new business models around the benefits of crypto and blockchain. Even with that, BTC is struggling against a strong wave of sell pressure. At spot rates, the coin is stable in the last day as prices hover around yesterday’s close. Nonetheless, our projection is bullish. Note that prices are yet to breach through our support zone. 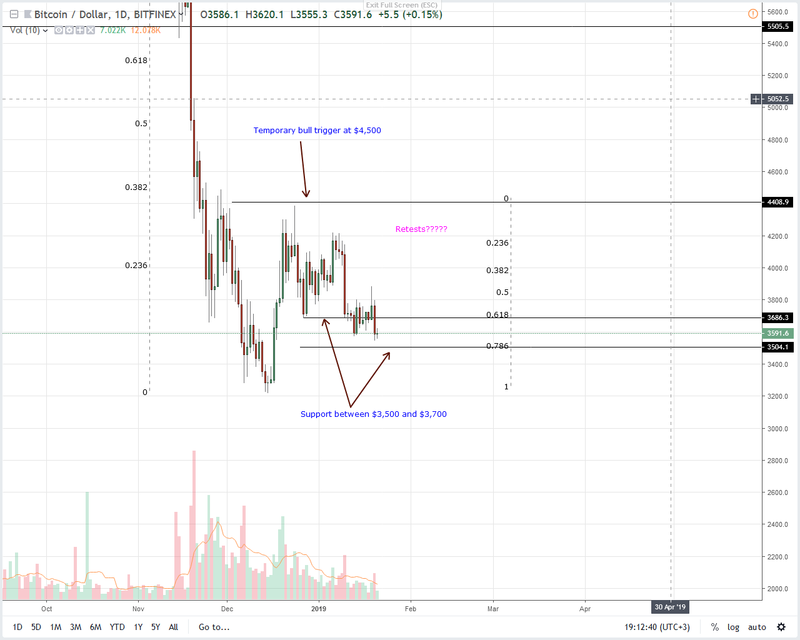 When we paste a Fibonacci retracement tool, our immediate support lies between $3,500 and $3,700 flashing well with the 61.8 and 78.6 percent Fibonacci levels based off Dec 2018 high low. However, because of yesterday’s downturns and sharp losses from above $3,700, we recommend patience until after prices rally above $3,800. After that, first targets will remain as before– at $4,500 and $5,000. The only bummer is if there is confirmation of yesterday’s losses and prices slide, complementing Jan 10 losses as prices dip below $3,500—the lower limit of our support zone. That likelihood will most likely catalyze further declines towards $3,200. Average transactional volumes are still low. Yesterday’s bear bar for example printed above average volumes at 20k against 12k which is still low. Ideally, for a convincing break below or above, volumes should be above 35k rivaling those of Dec 17 (bull bar) or Jan 10 (bear bar).